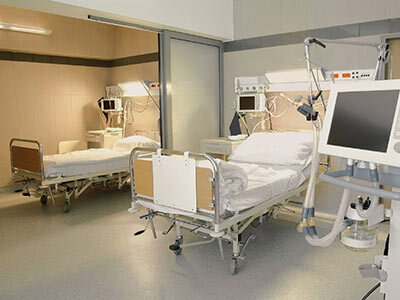 Health Care & Medical Flooring facilities require highly durable and sanitary flooring systems that often need to be installed in environments that are occupied and operating 24/7. The materials quite often need to provide faster cure times for a quicker return to service as well as low odor for potential sensitivities in other occupied spaces. Easy to clean & maintain, waterproof, moisture tolerant, safe & sanitary are high priorities for hospitals, ERs, laboratories, patient rooms, surgical suites, assisted living spaces, etc. Non-porous, monolithic polymer floor coatings in these environments need treatments like Microbe◊BLOK to prevent any harmful pathogens from manifesting and spreading. Integral cove bases and wall systems can enhance the overall seamless nature of these materials. Hard-wearing and safe, these floor coatings and resurfacing systems offer excellent wear, abrasion, chemical, stain, and varied non-slip resistance. They are engineered to be long lasting to endure frequent movement of heavy medical equipment, carts, gurneys, wheel chairs, as well as foot traffic. Unlike conventional vinyl composite flooring, a resinous flooring system does not require the long-term life cycle costs associated with waxing, buffing, and chemical stripping. These reduced life cycle costs can bring added value to the flooring investment. As far as aesthetics, ProREZ offers an attractive range of stylish design options in various colors, patterns, and textures to complement the décor in any healthcare or medical facility. Hospital floors- corridors, nurses’ stations, cafeterias, lobbies, waiting areas, etc.- all need to be aesthetically pleasing yet highly functional for staff, patients, and visitors. The floors must be easy to clean and maintain while ensuring safety with varied non-slip resistance. A hospital flooring system must hold up to stringent hygiene and sanitation regimens. With 24/7 traffic patterns, the flooring finishes need to be highly durable with long-term abrasion and wear resistance. High-performance is also stylistically integrated with a broad range of standard and custom decorative flooring options to support a welcoming atmosphere & lasting impression while facilitating operational efficiency. 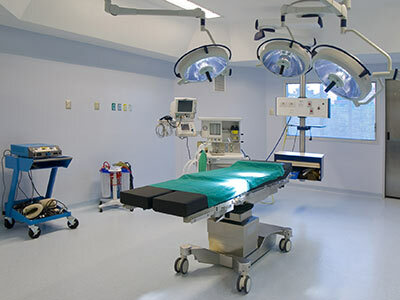 Hospital operating rooms and surgical suites must meet very strict hygiene and sanitation standards. Seamless, non-porous polymer flooring systems with integral cove base are engineered for optimizing CLEANLINESS and ease of maintenance. Integrate a film treatment like Microbe◊BLOK and ensure the OR’s protection against the growth and spread of harmful pathogens. 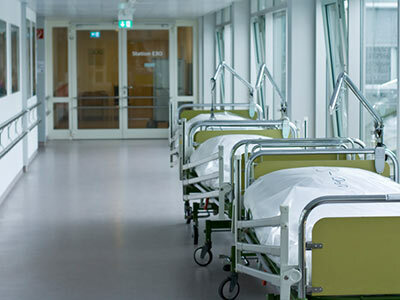 Like all of our other hospital and medical flooring systems, these are highly durable, long-lasting, with excellent, chemical, stain, abrasion, and varied non-slip resistance. ProREZ also offers low odor, faster curing materials for quicker return to service. Aesthetics and performance are carefully designed in each and every system we install. Hospitals and clinics need patient room areas that promote a relaxed, comfortable, and healing environment. Equally important to atmosphere & aesthetics, the seamless, non-porous, waterproof polymer flooring system needs to be safe under foot while maintaining excellent hygiene & sanitation with ease of cleaning & maintenance. Chemical, stain, abrasion, and varied non-slip resistance ensure long-term wear, durability, and safety. Microbe◊BLOK helps with infection control by minimizing the spread of disease and reducing up to 99.9% of bacteria on the surface of the floor. Custom colors, patterns, and textures allow ProREZ the design flexibility to complement any patient care décor. Unlike conventional vinyl and carpet floors which impact air quality subsequent to their installation for some time, a fully cured, 100% solids polymer coating is completely inert without any outgassing from the release of toxic VOCs. The choice may not be simple, but the right resinous floor coating system is crucial. Make a wise investment and choose ProREZ to guide your way. 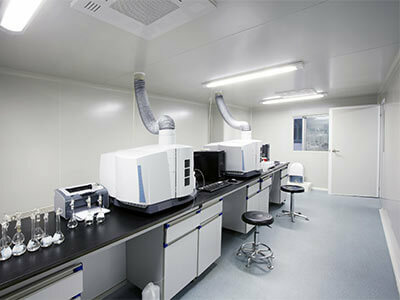 Hospital and clinical laboratories need to be clean, clean, clean. These flooring systems must withstand exposures to harsh chemicals and biocides. Germ-free and contaminant-free, these cleanroom-like floors need to be easily maintained, seamless and non-porous, with a smooth, glossy or satin finish that’s also highly chemical, stain, and abrasion resistant. Microbe◊BLOK is a serious consideration given the heightened concern for preventing the growth & spread of harmful pathogens in these areas. Hard-wearing & attractive, fresh & sanitary, the floors must also be safe with various options for non-slip resistance. Unlike conventional vinyl composite flooring, a resinous flooring system does not require the long-term life cycle costs associated with waxing, buffing, and chemical stripping. These reduced life cycle costs can bring added value to the flooring investment. .